I love writing these board game reviews in the run up to Christmas. As I think it’s useful for you guys to have some inspiration for presents! 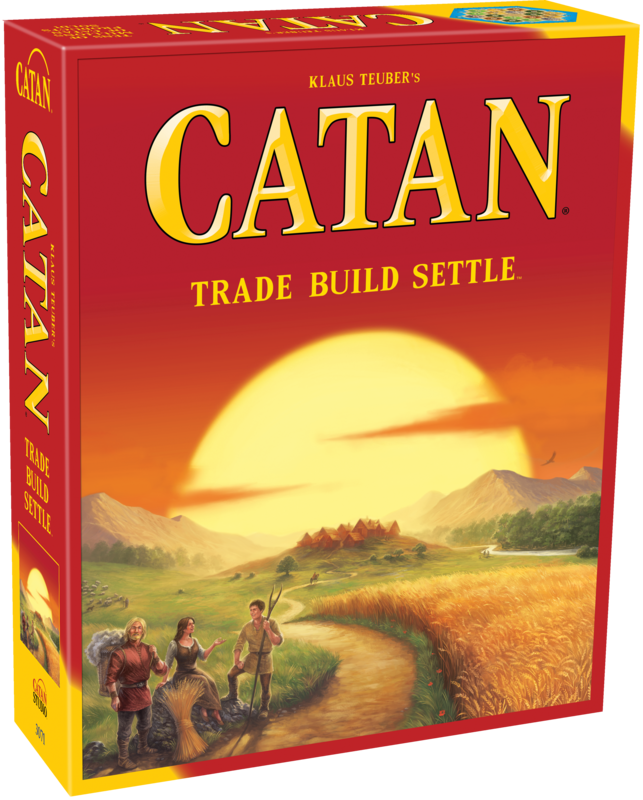 Catan is a resource building game that the creator Klaus Teuber said was inspired by the story of Vikings. It’s a classic game that has sold millions upon millions of copies since its release in Germany in 1994. I am a bit shocked I am so late finding it! But fortunately, Asmodee rectified that by sending me a copy. I was quite excited to get cracking. Especially as this game was a family affair. The creator has two sons that would play the game, so Klaus could see what worked and what didn’t! That effort certainly paid off as the finished result certainly grabs the attention of my children. This is the base game which is for 3-4 players. You can buy an extension to extend the game so up to six can then play. Personally, I like playing board games with my parents, in-laws and friends at various times. I always think it’s worth making sure your game allows for as many players as possible. Catan is an island of 19 terrain tiles surrounded by the ocean. The aim of the game is to expand your territory. Ultimately so you own the lions share of the island and can earn the most victory points! The different territories produce different resources except for the dessert. They only produce resources according to the rolls of the dice. It can take a little to get the hang of everything. But it’s well worth preserving it’s such a gripping game! If the dice rolls in your favour and you have a settlement or city adjacent to a terrain that is producing resources, its great as you can use your resources towards new builds. Continuing your quest to expand. If you are unlucky your settlements and cities might be placed by terrains that don’t end up getting rolled. There is a small element of luck in the game. But lots of strategy too, as it doesn’t end there you can also trade with other players (or the bank) to get your hands on much needed resources for a specific build. Certain dice roll combinations are more likely. These are depicted in the game with how many small dots are on the round tokens. It shows that 6 and 8 are most likely to be rolled so you want to aim to secure those terrains as they will likely yield the most resources. Also, at the beginning of the game brick and lumber are key resources so you can get your cities and settlements off to a flying start! Perhaps secure a harbour too for a better exchange rate on only the resource shown from the bank. See this game really does leave you with lots to think about! There is also a robber in the game whichever terrain he is situated on will not get resources on that go! He is activated by rolling a 7 with the dice and it can be a bit tricky if you have over 7 resource cards as he will “steal” half of what you have! The person who rolled the 7 gets to move the robber to a new terrain or back to his original starting point at the desert. You can play the robber quite strategically to stop players getting resources on the prime locations those with a 6 or 8! It wouldn’t be a family board game session without a few falling outs over game tactics!!! If you would like to win your own copy of the base game, please fill out the form below by the 10th of December. Please check out my other competitions too.